The Yard Theatre is a space to explore new ideas, to nurture new talent and to share new experiences. The Yard was conceived by Jay Miller, and designed and built by Practice Architecture in collaboration with Christopher Daniel. 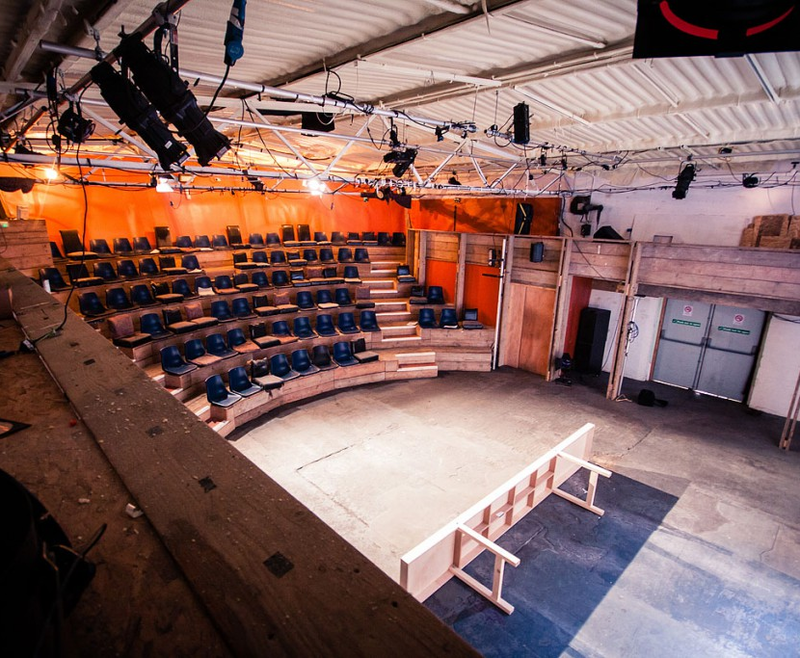 In 2011 we converted a dormant warehouse in Queen’s Yard, Hackney Wick, splitting it into two sections – one housing the theatre, and the other the bar, in which the back ‘bowl’ of the seating rake is fully visible. Made with recycled and reclaimed material in a converted warehouse, the theatre seats 110 in a fully raked amphitheatre. The Yard is about new ideas, new writing and the live event. When we say “new ideas”, we’re talking about work that portrays contemporary visions of who we are, where we’ve been and where we’re going. When we say “new writing”, we’re talking about work that prioritises specificity of the artistic voice, work that explores how text is written (and performed) and the eventual reception of that text by an audience. When we say “live event”, we’re talking about work that in some way acknowledges that it is in a theatre with an audience.